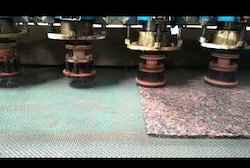 Auto polishing machine (Model: HBP 450P-4B) Grinding, Polishing, Lappato and Calibrating (not in standard model) Machine runs freely with 4 Brick Oscillating head One stop for all granite polishing needs. -New feature add for such slab, those corner are slightly lower. *Machine runs: Full auto, Auto & manual mode. With enriched industrial experience and knowledge, we are engaged in manufacturing and supplying our clients with a wide assortment of Stone Polishing Machine. 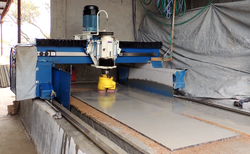 It is use for marble and Granite Polishing Machine. It is very useful machine. Features: Long functional life Superior performance Smooth operations Price Range:- 15k- 25k Rs.